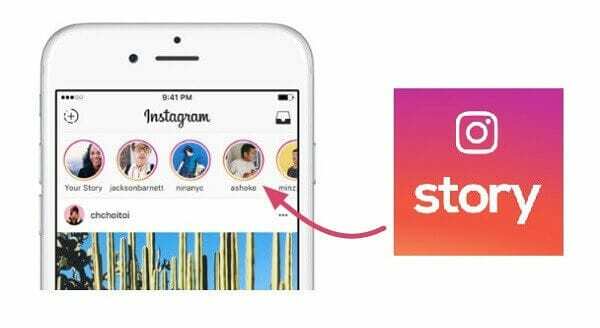 Instagram Stories – An Overview! By reading the topic itself, you might have a thought, “Is it possible to add links to Instagram stories?” If so, how to add them? Adding Links to Instagram stories plays an important to drive more traffic to your website and increase more followers to your Instagram profile. 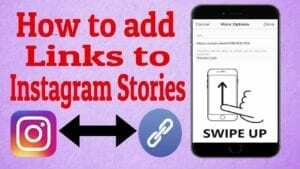 In this article, we are going to discuss how to add links to your Instagram stories and find ways to incorporate story links into your Instagram marketing. So, what are Instagram stories? Hope everyone aware of it! Instagram stories are nothing but simple stories as something that lets you “share all the moments of your day. The stories feature enables you to share multiple photos and videos, and they appear together in a “slideshow format”, which basically means a reel, like Snapchat. Just same as Snap Chat stories and WhatsApp Status feature, Instagram Stories too disappear automatically after 24 hours. Tap the camera button in the top left of your screen or swipe right from anywhere to get the camera mode on. Now, tap or long press the record button to take photos or videos respectively. Once you’ve done with photo or video, now it’s time to edit with text, or sticker icons to add effects. Stickers can include location information, polls, and songs. When you post a video or photo as an Instagram story, it appears on your profile; i.e. a colorful ring will appear around your profile picture, and people can tap it to see your story. And just like Facebook, your story will appear in the news feed section of your followers. And also, if you’ve added a HashTag, location, or location-based sticker, it may also appear on HashTag or location pages. Just like WhatsApp status feature, you can send a reply to stories with a photo or video. You can send a reply just with text or with an image. While you’re viewing the stories, there’s a new camera button at the bottom of the screen. Tap that, and then snap a pic of yourself or record a video or take a Boomerang. You can move and resize the story image that you’re replying to, as well, and insert that in your photo. You can also apply filters or stickers and hit send to share your creation with your friends. Your friend will get this reply as the direct message along with the thumbnail of the original story which he/she can view from their direct message inbox. Add effects: Like Snapchat, you can add doodles, text, stickers, live face filters, and location stickers to your story. Add music: The most recent update to Instagram is the ability to add music directly to your Stories. Facebook has signed deals with all the major record labels to secure various songs, with more being added each day. One of the biggest issues faced while using Instagram for marketing is that links in captions aren’t clickable. You can add a URL to your Instagram post caption, but this is not a solution. 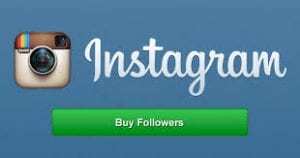 At first, Instagram released clickable links in stories, they allowed this to only verified accounts but starting from last year the social network app is letting all business Instagram accounts with 10,000 or more followers add links to their Instagram Stories. Adding clickable links to your Instagram stories will help you to drive more traffic to your website, boost your Instagram followers and promote your product/services. Tap the Camera Icon on the top right of the screen to begin your story. Once you have tapped the camera icon, you can explore a wide range of options which assist you to take a photo, a video, or you can swipe up and access your library so you can choose any photo or video that you captured within the past 24 hours. Click on the Chain or Hyperlink icon on the top and a new page will open where you can either enter or paste the URL that you want your followers to click. Once you put your link make sure you press done. Keep in mind, this feature will be enabled to your profile only if you have a verified account or if you have a business profile that has more than 10,000 followers. And also, to avail this feature, you need to convert your account into a business account. Adding call-to-action is the important step, as it is the one which makes the audience to click the link; so make sure to keep the call-to-action engaging, interesting and also create an urge to click the link. Once you’re done, your Instagram story is done with a clickable link. If it’s worthwhile for users, newsletter signup pages are fantastic because it’s low commitment: it takes two seconds and people can opt out at any time if they want. While you’re promoting your latest article on your Instagram Stories, be sure to insert the link to it for your followers to swipe up and read it right then and there. Including your blog page URL as the clickable link in Instagram stories will automatically drive more traffic and visitors. If your business has a YouTube channel, Instagram Stories are the best spot to promote it. Give viewers a little teaser on a story card and add the link to the full video, so it will make your followers feel crazier and head over to subscribe your YouTube channel. Are you producing an Instagram story to demonstrate the usage of the product or the product description of a specific item? Then, you can provide the product URL as the clickable link here! Are all your products on sale? Or maybe you’re running a special contest to celebrate the upcoming holidays? Either way, it’s an awesome thing to broadcast through your Stories, along with a link to it. Make sure that you add your opportunity or site link to your profile page as well as a 150 character description. If you are a blogger then a very good strategy would be to use a customized Bitly link that you can swap in and out as your site updates with new content to highlight the changes. You can also then take advantage of Bitly’s analytics tools to track how you are doing and see who is viewing your content and when. Add a text hyperlink to your images. Simply edit your pictures and add a link to the pic in text form that viewers can then copy into the address bar. This will help with branding especially if you add a cool logo or watermark. It also helps to stop other members from stealing your images. I hope I have provided some information to help you get that clickable link that would help your Instagram marketing! Stay tuned with BulkQ to stay up-to-date with Instagram marketing strategies!